What are the best movies / TV series depicting Ancient Greece or Greek Mythology? 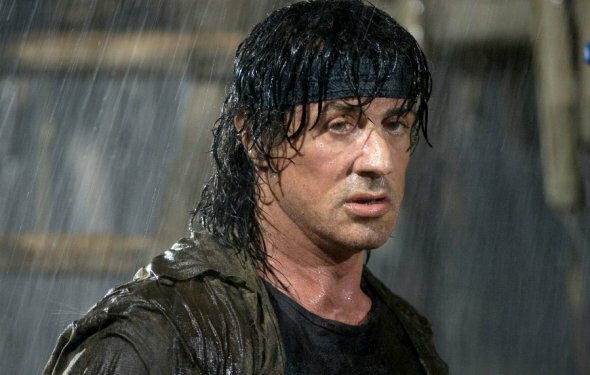 There is a very long list of movies (and other things) that are based on Greek mythology, or events from Ancient Greece. These are a few that I think lie somewhere between decent and good. Troy - Possibly the best of the lot, the movie is a very humanized version of events from the Iliad, the Odyssey and the Aeneid, among other things. The Odyssey - The 1997 TV miniseries, with two parts running for an overall length of nearly three hours, is a very convincing adaptation of the Odyssey. Helen of Troy - Another TV miniseries running for nearly three hours, this one from 2003, Helen of Troy focuses on Helen's story before and during the Trojan War, with significant differences from Homer's version. 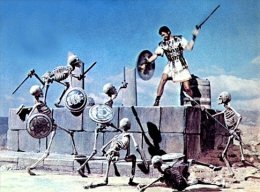 Jason and the Argonauts - The 1963 movie is always a treat to watch, especially with the stop-motion skeletons, and Talos. Clash of the Titans - The original 1981 movie, which is another stop-motion marvel, is based on the myth of Perseus and heavily deviates away from the stories. I should also add, the only Titan you'll ever find in the movie is in the title. 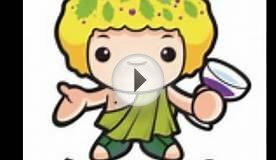 Hercules: The Legendary Journeys - This TV series ran for half a decade, and follows the life of the demigod Heracles. Xena: Warrior Princess - A spin-off series that ran in parallel with Hercules: The Legendary Journeys, the story follows the exploits of a fictional Amazon warrior Xena. Wonder Woman - Out of the representations in the past 70 years, I am going to choose the most recent one - the 2009 animated direct-to-video film, especially because it focused mostly on Greek mythology. 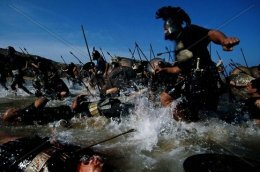 Alexander - Though it was not historically accurate, and though it was criticized by practically everyone, I would give a lot more credit to the three-and-a-half-hour Alexander Revisited: The Final Unrated Cut. 300 - I haven't watched The 300 Spartans for comparison, but Zack Snyder's 300 follows Frank Miller's 300 very closely, meaning that it strays way away from history and sits comfortably in the fantasy genre. Set during the events of the Greco-Persian wars, the Battle of Thermopylae in particular, the movie will be soon followed by a sequel portraying the Battle of Artemisium. I've left out a lot of other popular movies, mostly because of personal opinions of them, and that list includes Clash of the Titans (2010), Wrath of the Titans, The Immortals, Hercules (Disney), Minotaur (2006), Cyclops (2008) and the two Percy Jackson movies released so far. As a bonus, Clash of the Gods was an incredible set of documentary episodes, the first seven (of a total ten) that are from Greek Myths. Are you looking for "mexicah"? Check out 6thsunridaz The passionate experts in this field are ready to answer all of your requests. Their magnificence in almost every field of sciences, literature and philosophy, arts and crafts and generally in everything they got themselves involved in. What is more, is that all that magnificence was passed on and through other civilizations all that has come to be an Integral aspect and part of present day cultures and civilizations. What movie is Orlando Bloom in that is about ancient Greece? Elizabethtown stars Orlando Bloom and takes place in ancient Greece. Thank you for using!! What are some movies about ancient greece? Some movies about ancient Greece are: Helen of Troy (1956), The Trojan war from the Trojan viewpoint, The 300 Spartans (1962), *Socrates (TV)(1970), Barefoot in Athens (TV) (1966), Clash of the Titans (1981), Homer, The Odyssey (1997), Aeschylus, Oresteia (1979), Agamemnon, Choephori: The Libation Bearers, Eumenides: The Furies, and Sophocles. What was ancient Greece best known for? Ancient Greece is widely attributed as the direct ancestor of western civilization. It formed the start of democracy, civic duty, philosophy, and tradition of intense direct combat. This an alphabetical list of ancient Greeks. These include ethnic Greeks and Greek language speakers from Greece and the Mediterranean world up to about 200 AD. Evridiki (Vicky) Hadjivassiliou (Greek: Βίκυ Χατζηβασιλείου), also spelling as Hadjivasiliou or Hadjivasileiou, is a Greek author, television presenter and local politician who stood for PASOK in Thessaloniki, Greece. She was born and raised in Kilkis.